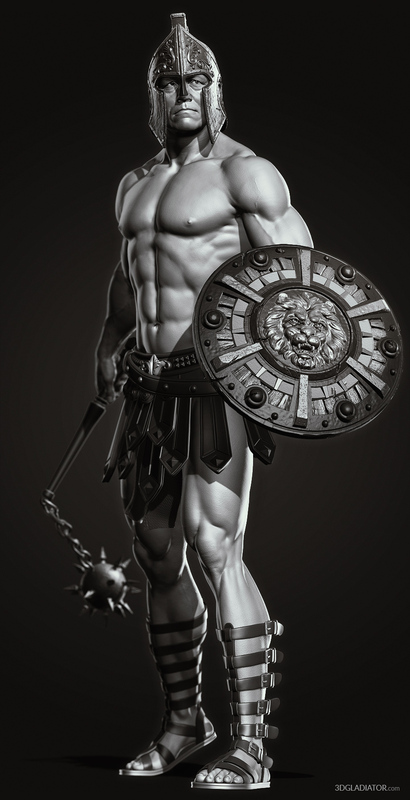 gladiator model. It started as a simple anatomy study and quickly turned into this grumpy looking fellow. Except the lowres version, the entire project was realized in ZBrush. Thanks to the long list of amazing tools, today ZBrush is pretty much the only modeling software you need from start to finish!